The Philippine Eagle (Pithecophaga jefferyi), also known as the Monkey-eating Eagle, is an eagle of the family Accipitridae endemic to forests in the Philippines. It has brown and white-coloured plumage, and a shaggy crest, and generally measures 86 to 102 cm (2.82 to 3.35 ft) in length and weighs 4.7 to 8.0 kilograms (10.4 to 17.6 lb). It is considered the largest of the extant eagles in the world in terms of length, with the Steller's Sea Eagle and the Harpy Eagle being larger in terms of weight and bulk. Among the rarest and most powerful birds in the world, it has been declared the Philippine national bird. It is critically endangered, mainly due to massive loss of habitat due to deforestation in most of its range. 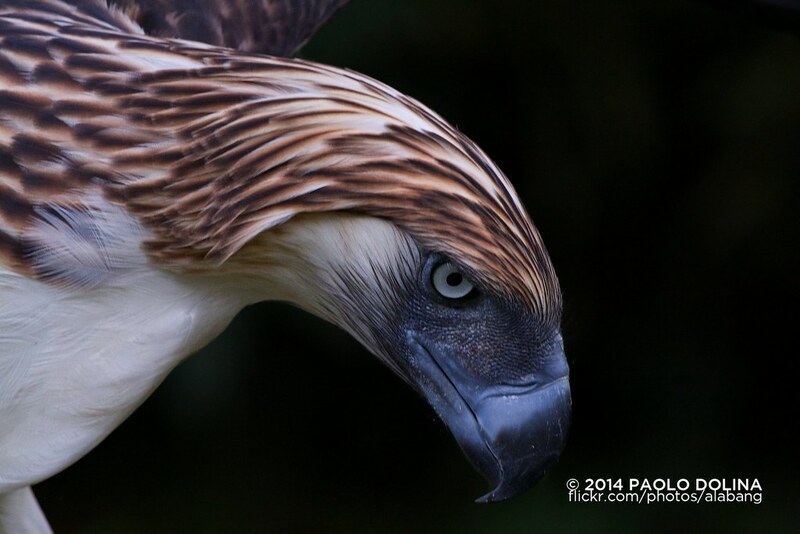 Killing a Philippine Eagle is punishable under Philippine law by 12 years in jail and heavy fines. Note: This is a captive animal being cared for by a duly legal organisation tasked in its conservation. Pls do not picket me.